Let's say you have a killer app idea for iPhone and iPad. Where do you begin? 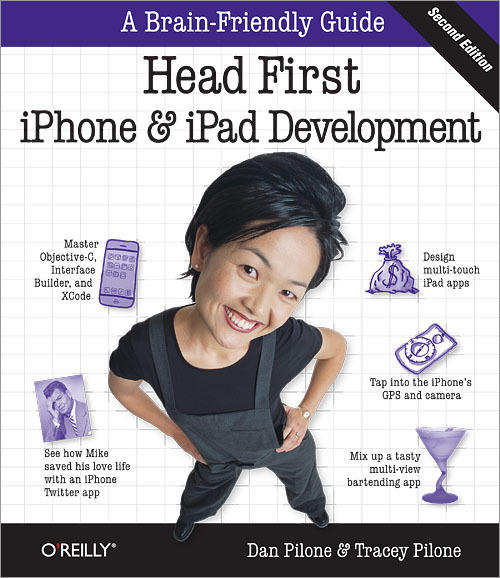 Head First iPhone and iPad Development will help you get your first application up and running in no time. You'll not only learn how to design for Apple's devices, you'll also master the iPhone SDK tools -- including Interface Builder, Xcode, and Objective-C programming principles -- to make your app stand out. You’ve built your first iPhone app! Chapter 2 iOS App Patterns: Hello, Renee! So, how do these views fit together?